When the 110th General Assembly gavels into session on January 10th, a number of issues of importance to electric co-ops stand to become major points of focus for lawmakers. After the first week’s formalities and announcements of committee assignments, there will be a two-week recess to move offices and re-organize. Then, the session will kick into high gear as Governor Haslam will deliver his State of the State address on the first day that Members return to Nashville. Currently, the State has a budget surplus of over $1 billion. The State of the State typically focuses on the Governor’s budget priorities, and this year’s address should provide no shortage of ideas on how to budget those surplus funds. The following day, January 31, will be TECA’s annual Day on the Hill and Legislative Reception. Attendees will witness first-hand the collective reaction of lawmakers to the new spending priorities. In addition to passage of a budget, the Governor has publicly indicated on several occasions that he intends to focus on three large issues: transportation funding, broadband and the internet sales tax. Broadband has been a hotly debated topic at the Capitol for nearly a decade; however, most of the controversy has surrounded the role(s) of municipal electric utilities and existing private sector broadband providers. No significant legislation has passed, and pressure on lawmakers continues to increase to find solutions to the lack of adequate access to broadband in rural areas. 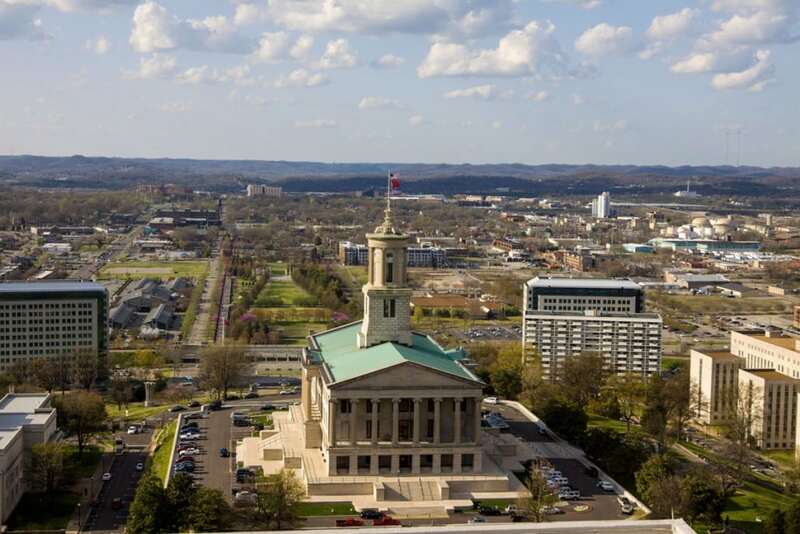 Meanwhile, both the Department of Economic and Community Development and the Tennessee Advisory Commission on Intergovernmental Relations have conducted studies to gauge the extent of the problem. ECD’s study found that 34 percent of rural Tennesseans lack access to basic broadband services, and both studies concluded that electric cooperatives are well positioned to help solve the problem but face legal restrictions from doing so. Governor Haslam convened an inter-agency task force to discuss the topic and heard presentations from many interested parties, including electric cooperatives. While the final language is not yet available, it is expected that the Governor will propose comprehensive legislation to the General Assembly for consideration this year. We expect this legislation will include repealing laws that currently prohibit electric cooperatives from offering broadband internet service. This would be the most significant and far-reaching legislation involving electric cooperatives in decades. Other broadband bills, in addition to the one brought by the Administration, could be introduced by other members of the Legislature. While the legislative process is always difficult to predict, there should be a number of other bills that are of interest to co-ops. Legislation concerning net metering and third-party solar financing are anticipated to return in 2017. Representative John Ragan (R-Oak Ridge), should re-file his bill to create a Tennessee Energy Policy Council. The Tennessee Municipal Electric Power Association is expected to again pursue changes that would require a public referendum in any instance of the sale of a municipal electric plant. We will be watching for any potential state-level reaction to Nashville’s passage of a “One-Touch Make Ready” ordinance (also called “Climb Once”) regarding the process for making new pole attachments. Increased interest in small-cell technology by the wireless phone industry could result in pole-attachment related legislation. TECA’s Government Affairs team is prepared and looking forward to working with co-ops across the state through what could be a history-making legislative session.